Work on the access road to the proposed new Elgin High School will be starting on Monday. Funding for the school building project has been delayed due to a government wrangle over EU accounting rules, but to minimise any further delays once these are resolved Moray Council is pressing ahead with roadworks. The EU issue does not affect the roadworks as these are funded separately. This extension of Edgar Road will take approximately 14 weeks and will create a new access for both Greenwards Primary and Elgin High School. It is expected that the section up to Greenwards Primary will be completed before the new school term starts in August. The remainder of the roadworks to the High School site will continue and Edgar Road will be used as a construction access once school construction starts. 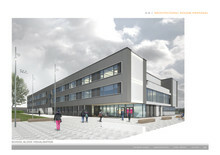 Council Leader, Cllr Stewart Cree, said: “We in Moray Council are as disappointed as everyone else over the difficulties that have arisen in securing the funding that has been promised for the new high school. “I am confident that these can and will be overcome, and we have had assurances from Scottish Government that the funding is in place. “However we are equally determined that the EU wrangle will not affect the momentum of the project. 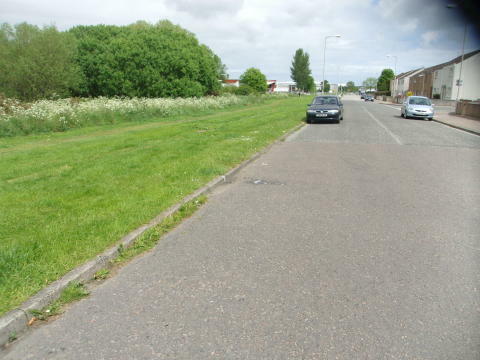 The works, by Balfour Beatty Civil Engineering, include the resurfacing of Edgar Road west of the Cedarwood Centre, replacing the street lighting and the provision of an informal parking area to cater for visitors to the Wetlands. Pedestrian access to the Wetlands will be maintained throughout; however parking on Edgar Road may be restricted at times due to construction activity. Moray Councillor for Elgin South, John Divers, welcomed the news. “It will be good for all of us to see some work being started on the school project,” he said.